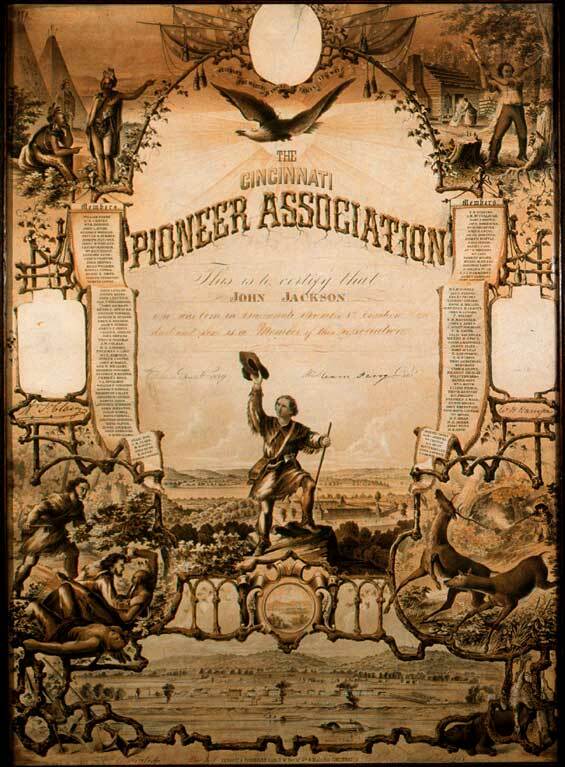 [Membership certificate] The / Cincinnati / Pioneer Association. Henry Lovey, Designer. W. Bucknell, Delineator. Lithograph. Ca. 1858. 23.75 x 16.5 in (60.3 x 41.9 cm). Cincinnati: Ehrgott & Forbriger Lith. Rare Books and Special Collections Department.